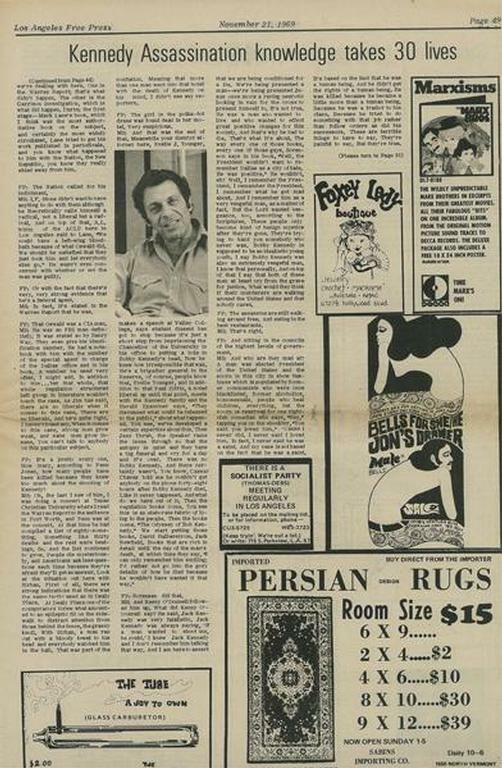 Original newspaper interview with Mort Sahl from November 1969. Runs over several pages. 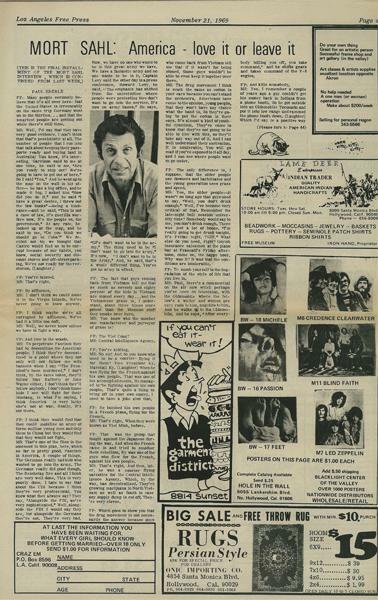 Original newspaper, not a copy or reproduction.